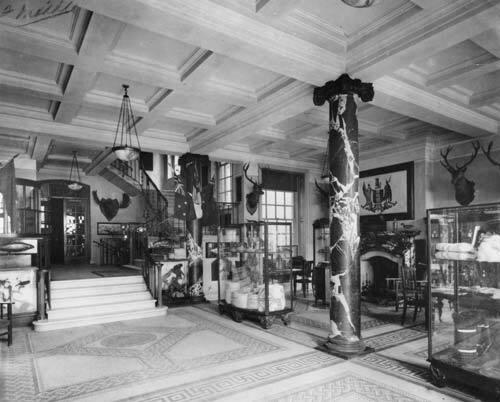 In the 1920s, when this photo was taken, the imposing entrance hall of New Zealand's high commission in Britain featured stags' heads on the walls and display cases for gifts from other countries. This building, at 415 The Strand in London, housed the high commission from 1916 to 1963. Previously the high commission had been at 13 Victoria Street, London SW. From 1963 the purpose-built New Zealand House at 80 Haymarket, SW1, became the new location for the high commission.